The exact method depends on the thermostat, but most programmable thermostats have a reset switch or button. This is often located below the main panel of the thermostat or on the side where it is difficult to press by accident. Some thermostats have a reset button that must be accessed through a menu. To access this, pull up the main menu, and look for a settings option. Select that, then look for a reset option, and press the indicated button to select it. Some thermostats, such as Nest learning thermostats, offer several types of reset options. Owners can reset the thermostat to default settings or reset particular types of programs, depending on their needs. Thermostats that offer wireless controls may have a special technique for resetting the wireless connection without changing any settings. Owners should check the manual for their thermostat before attempting to rest the thermostat without losing any settings. Energy-saving experts suggest resetting most thermostats at least once a year to make sure that the programming still accurately reflects the owner's lifestyle. Thermostats should also be reset after major lifestyle changes, such as changing shifts at work. 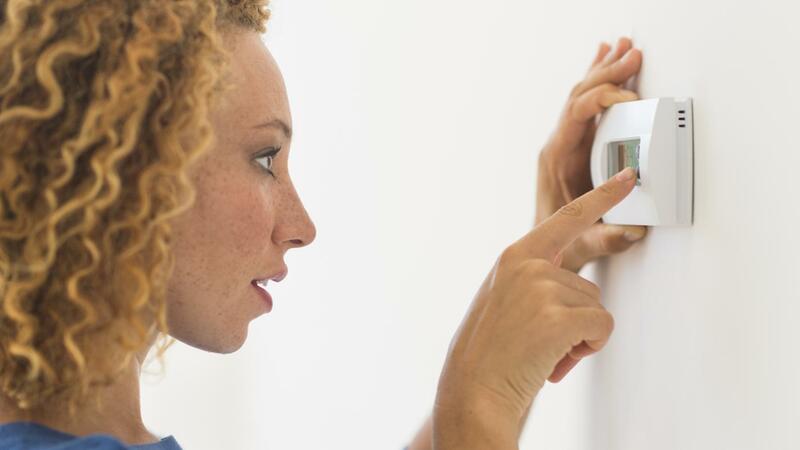 Learning thermostats may be an exception to these resetting rules, as they are designed to adapt to their owner's habits for maximum energy savings. Where Can You Buy a 24-Volt Thermostat? What Brands Offer a Home Thermostat With a Programmable Timer? What Brands Make the Largest Displays for Thermostats?